No doubt Email is one of the most effective communication channels that can bring you bundle of business benefits. It can give you a long-term and loyal customer base. According to the stats published on www.circle-research.com, 42% of companies consider email as their most effective lead generation tool. However, effectiveness of email marketing is highly dependent on how well you use it. It can generate value for your customers and at the same time, it may also irritate your customers. Therefore, there is no point to go random about it. To get maximum benefits you have to proceed with a proper strategy. Only then you will be able to enjoy its benefits. Email List – How to build it? Building an email list is pre-requisite to email marketing. Getting more email subscribers is a really hard task these days as now people are conscious enough about giving their email. You have to give a valid reason why any user should share email address with you. So how should you proceed to get people subscribe to your website or blog? Is giving a subscription form on home page is enough? 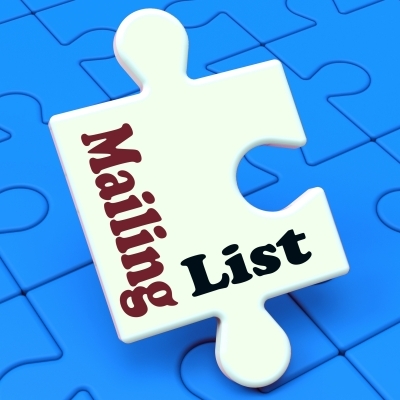 Building an email list requires lot more than putting a subscription form on home page. You need to back it up with a proper strategy. Your end goal should be to convert every visitor into a subscriber. It is a trade-off or a sort of deal. In return of visitor’s email address, you have to offer something of value. The end purpose is to grab customers’ interest and get them to subscribe to your blog. Means, they should not be forced to subscribe, instead inspire them to subscribe. 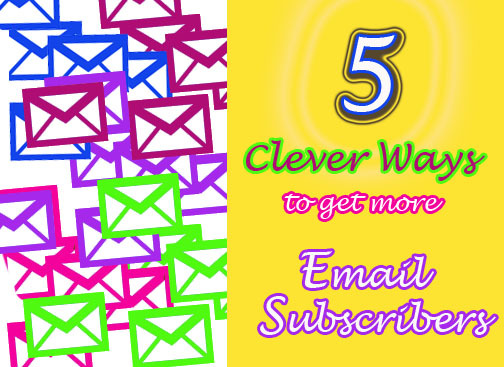 Here are 7 clever ways through which you can certainly get more subscribers and explore this valuable marketing and communication channel. Stop hating pop-ups if you do so. Yes there are many of us who hate pop-ups and find them irritating when we get them on visiting some website. You may consider them distracting or interfering but the fact is they really work! Pop-ups are reported to bring 30% to 70% increase in email subscriptions. Now the main point is to use pop-ups in a way to make them more appealing and interesting to your visitors rather than obtrusive. You can tweak the size, position, appearance, color, form and content of subscription pop up forms to make them more and more appealing. Match it with your website theme, state benefits of subscriptions or give an offer to subscribers. 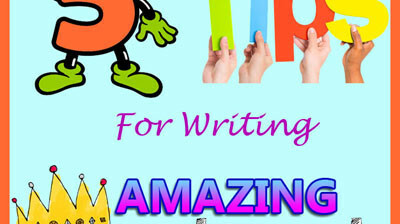 All these tactics will serve to compel people to subscribe to your website or blog. If you are using content manage systems such as WordPress or Magento, there are various Plugins (both free and premium) available to create subscription pop-ups. Or you may ask your developer to code a customized subscription pop-up. The point to say is, it is not difficult at all. With a little effort, you can get maximum results. When a user is visiting your website for the first time, he may not feel interested in subscribing and may simply click the exit icon of subscription pop-up. As a microbar on header, etc. Chances of subscription can be enhanced by giving frequent exposure to subscription opportunities. 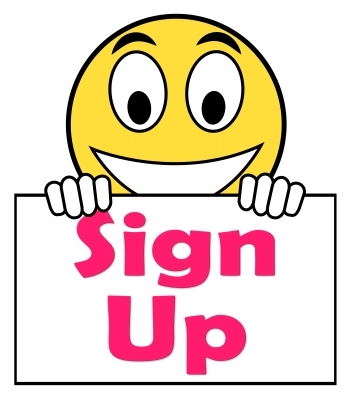 Make sure to have the subscription form in sight of users at any time they may want to sign-up. A sign up form on nanobar is best for this purpose. Through analytics, check your outperforming posts and pages and let the users subscribe from there. As I have already stated in start of this article that getting email subscriptions is a sort of deal with your users. You have to give them something of value in return of their email address. You have to earn their interest. Sign up for a newsletter or updates is old fashioned now. Get into the mind of visitors and explore what they really want to have from you. For instance, a ecommerce website may offer a discount coupon or a free voucher in return of subscription. 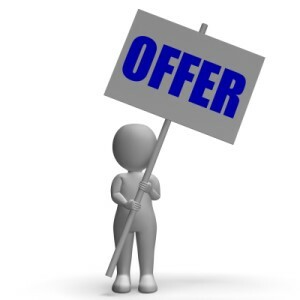 Similarly, an SEO company may offer to give a free website audit report. So there can be many more options depending on the business you do. The point is to give something unavoidable in order to get subscriptions. The benefit associated with this strategy is that the list you will build through this way will be a highly targeted one, giving you qualified leads to with whom you can safely do business. No matter how many subscription strategies we may use, quality of content overrides everything. If by anyway you get people to subscribe but failed to give them valuable content, it takes only a second to unsubscribe. Not only they will unsubscribe, they may not even bother to visit your website again. So the quality of content matters. When you give your users good quality content, they will automatically be waiting for you next posts. One high quality, problem solving post in a month is far better than multiple useless posts. Remember, the days of normal content written just to cover a specific word count are over. Now people are more intelligent and look forward towards valued content. In brief, your every post should solve a problem of your target market. Put yourself in customer shoes and come up with a post that may serve to solve your customer’s problems. 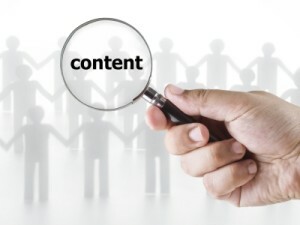 Meanwhile don’t forget to optimize your content with with whitehat SEO techniques. After all, search engines play critical role in getting your content before users. Notice your website especially the places where you have added sign-up forms. How many other widgets or call to actions you have in sidebar, header or footer. If there are too many, you are in fact hindering your users from subscribing. Avoid clutter and let the users focus only on subscription form so that they may proceed to call to action. Remove any unnecessary icons and advertisements. Make little tweaks and you will notice a significant improvement in subscription rate. So you have seen that there are many ways to target users to get email subscriptions and build a targeted email list. Consider this list as your valuable asset and nurture them to establish a long-term business relationship. All these steps require a small effort with a potential to give you enormous results. If you are facing any sort of difficulty in getting email subscribers, Contact us today and our expert consultants will let you make email as your top lead generation tool. Feel free to contact us today and get your subscription problems solved.